For marketers using paid social, the Olympic Games can begin far earlier than August. 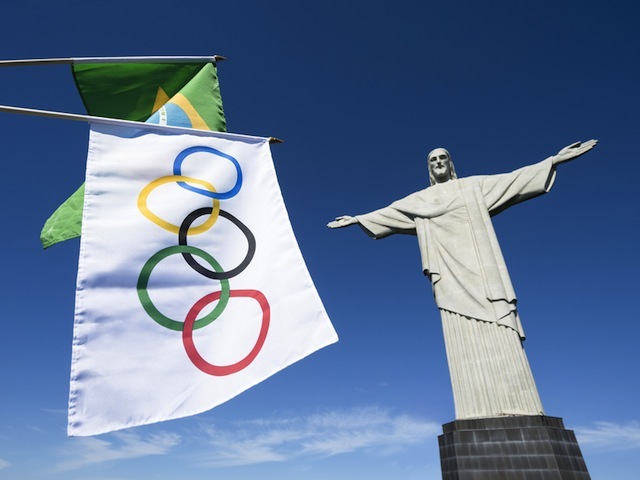 The Olympic Games return to the international stage this summer in Rio de Janeiro, and 76 percent of the world’s population is expected to tune in on television. Of those 3.6 billion global viewers, 85 percent will be on additional devices while watching the Games. The prevalence of second screens will make the upcoming 2016 Summer Olympics the most watched and talked-about Games on social media yet. Some 68 percent of American TV viewers watched the 2014 Winter Olympics, and because Rio is just one hour ahead of Eastern Standard Time, the 30 million Americans expected to tune in will be able to watch live events in primetime. The Olympics are also especially popular in the UK, where 90 percent of the population watched the 2012 Summer Games. The International Olympic Committee estimates that the majority of its 33.9 million social media followers will use additional devices while watching the Games, and generate over 2 billion impressions across Facebook, Twitter and Instagram. This means that for marketers using paid social, the Games can begin far earlier than August. Join the conversation and buzz in the run-up to the Olympics by driving engagement around Olympians, teams, sports, and key events. Make sure your messaging is relevant and tailored to the audience you’re targeting. Twitter’s conversation targeting for example, is an opportunity to specifically tailor messaging to what users are tweeting about, which can result in significantly higher engagement. Travel brands can use Facebook and Twitter’s travel category-targeting to provide tips and suggestions for consumers who are traveling to Rio. Pinterest’s Promoted Pins are also ideal for targeting users who are searching for guidance as they plan their big trip. With about 80 percent of social media users accessing social platforms through mobile devices, the Olympics is an opportune time to capture users when they’re dual-screening or on-the-go. Be brave: go mobile-only and take advantage of Facebook, Twitter, Instagram, and Pinterest mobile ad units. As native formats they deliver maximum impact, especially when combined with video assets which can achieve deeper engagement. Facebook’s, Instagram’s, and Twitter’s autoplay video units are the most effective way to drive awareness and cost-efficient cost-per-completed-views. Twitter’s event targeting offers a unique opportunity to reach users who are watching and engaging with the Olympics. Tap into this targeting product to gain greater share-of-voice around the big event. For CPG brands, the Olympics is a prime time to target users hosting parties, meals, and events around the world’s biggest sporting event. Create Pins with tips, tricks, and helpful advice for party preparations. Ruth Arber started her career in social media over 7 years ago. She has a wealth of experience across Facebook, Twitter, Pinterest, and Instagram, working with brands to unlock the potential of each channel. London-born, she joined Adaptly’s New York office in 2014. Image courtesy of lazyllama / Shutterstock.com.